The Applied Tower Lifting Ladder is available for 12”, 16” and 20.5” towers. 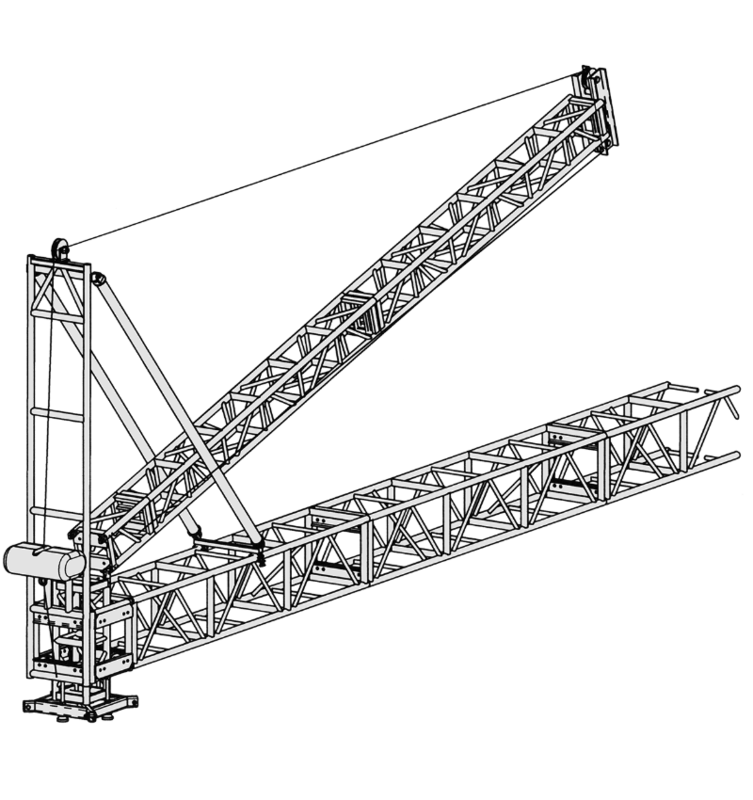 They are designed to raise and lower GS Towers utilizing a 1-ton chain motor (chain motor is not included with ladder). The Lifting Ladder is bolted to the tower sleeve block, the motor is rigged to the lifting point and the chain is positioned over the ladder pulley. The chain is then passed over the tower head block wheels and attached to the tower truss. When power and control signals are sent to the chain motor, the tower will rise/lower. When the tower reaches its vertical position, lock the hinge.